Okay, this is pretty ridonkulously cool: a nice set of star charts, covering the entire sky to magnitude 7 (a bit more than the average person with maximally dark-adapted eyes could see from a desert island on a new moon night), on 20 pages, printable from your desk, for free. I found these because I have misplaced–temporarily, I sincerely hope–my Pocket Sky Atlas and I need something to work with right now. This set looks like a winner. I don’t have a working printer at home so I’m printing these online at Fedex Office and I’ll pick them up tomorrow. Maybe I’ll do a full-on review after I’ve had a chance to test-drive them. 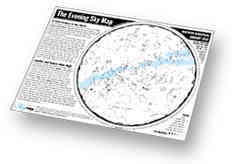 Anyway, if you’re just getting started and you’re ready for the next step after The Evening Sky Map–or if you’re an experienced observer who just can’t turn down a nice set of free charts–snap these up. Here’s that link again. In the future I will add some more step-by-step how tos on things like recognizing constellations, tracking the phases of the moon, and finding planets and deep sky objects. But I can’t stand, even for a day, having a blog that is supposedly about helping people find their way the sky around that doesn’t actually help them find their way around the sky. So if you’re chomping at the bit to get going, or you’re just looking for some free astronomy resources, here goes. 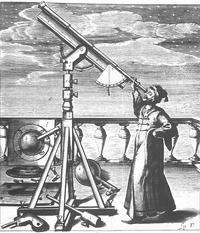 Sky & Telescope has a great 10-page guide called “Getting Started in Astronomy”. 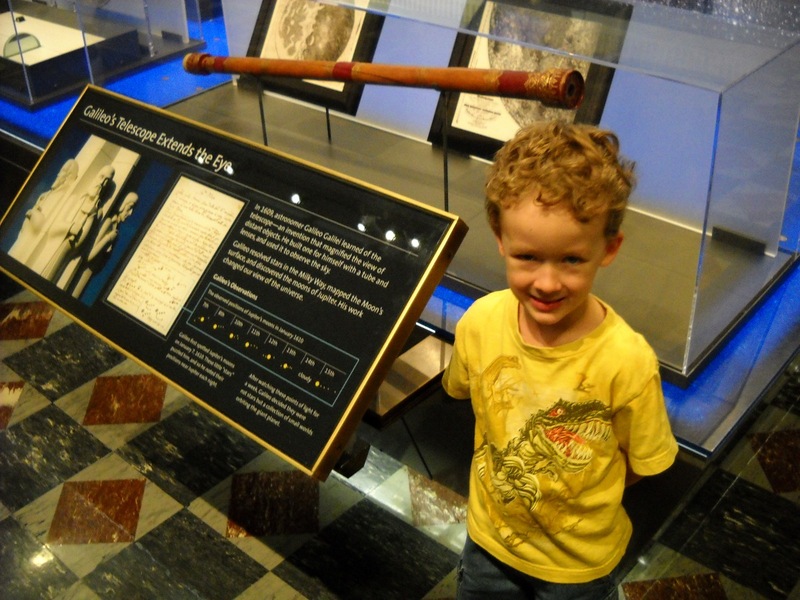 It has maps of the night sky and the moon and instructions on how to use them with the naked eye or with binoculars. If you’ve never picked out a constellation on your own and don’t know Aldebaran from Altair, this is Step Zero. There are lots more goodies in S&T‘s Stargazing Basics. In my humble opinion one of the best free astronomy tools, and the one I use the most, is the free planetarium program Stellarium. You can see what the night sky looks like from any point on the planet, from the deep past to the far future, with optional constellation overlays from cultures around the globe. I use it to see when the moon will be high enough to clear the trees in front of my driveway, to find out what deep sky objects (DSOs) will be overhead at convenient observing times, and to identify things that I’ve stumbled across when I’m just plinking around with binoculars or a telescope. Stellarium will show you moon phases, but if you really want to see the surface of the moon close up, you can’t do better than the Virtual Moon Atlas (at least without spending any money, and maybe not even then). Includes instructions on how to simulate the view of a spacecraft orbiting the moon, which, if you’re a space nut like me, is going to be irresistible. If you want to track satellites or spot the International Space Station–which is frequently visible to the naked eye in the early evening!–head on over to Heavens Above for finder charts and instructions on where to look. For going deeper or just seeing what’s up tonight and for the rest of the week, Almanako is a great resource. It’s more information-dense than most of the rest of these sites, so don’t get flustered if you can’t make sense of it all on your first visit. Things will shake out in time, and the sky isn’t going anywhere. This is a very, very short list of the free astronomy resources available on the ‘net. If I was so inclined, I could stay busy at this blog doing nothing more than finding and linking to all the good stuff out there. But, as alluded to in the blog title, we all have far too much other stuff to be getting on with. These are the ones I found the most useful when I was getting started, and I use most of them to this day. Even if these particular tools don’t strike your fancy, hopefully they will help you get started on your journey farther up and farther in.